Hello! Can you believe it’s April already? Even though we’re still having some chilly nights with near-freezing low temperatures here in Virginia, the afternoons this week have been warmer and more spring-like. The grass is turning green again and my daffodils are starting to bloom. Louise is our CC&S challenge hostess for the month of April, and the colors she has chosen for this week’s challenge are certainly appropriate for this time of year. She’s asking us to create a card with monochromatic shades of green. I’ve used the CAS(E) this Sketch! layout for my card. 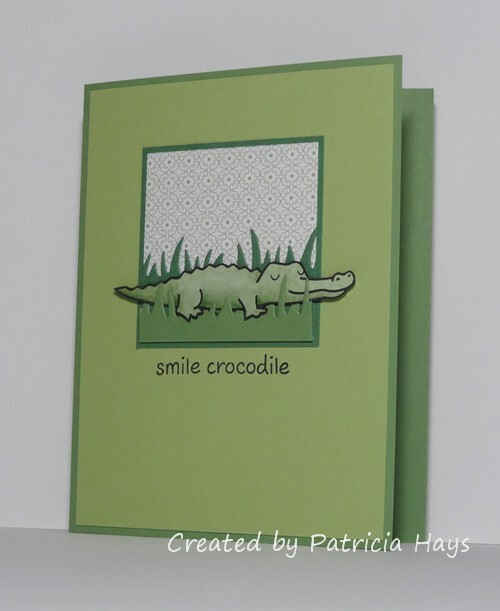 I knew I wanted to make my card suitable for Operation Write Home, so I opted for a cute crocodile image that had a neutral sentiment that isn’t particular to any occasion. After I colored and fussy cut the crocodile, I nestled him in some die-cut grass. The “sky” behind him is a scrap of designer paper with a green print. Be sure to go see what the rest of the CC&S Design Team has made – and check out the new look of our challenge blog! 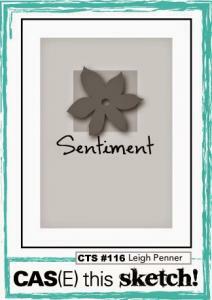 Then create your own CAS styled card using this week’s color scheme and link it at the CC&S site. We’d love to see what you can do! Edited on April 6, 2015: Thank you to the CAS(E) this Sketch! Design Team for naming my card as an Honorable Mention for their challenge! This is a first for me, and I’m very honored! 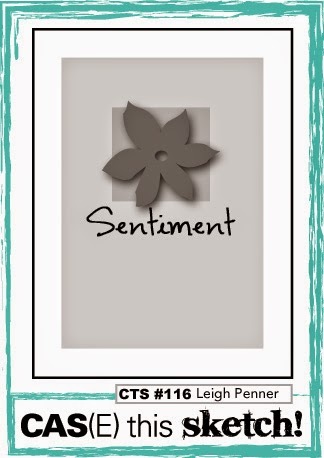 Posted by PH in VA at 8:00 am Cards, CAS Colours & Sketches, CAS(E) this Sketch!, Lawn Fawn, Operation Write Home, Stampin' Up! Super duper cute! Love that little croc! Love your sneaky croc hiding in the grass! And absolutely fabulous makeover on the CC&S blog, you’re so clever! Oh my gosh this is so adorable!! I LOVE how you have done the grasses!